While I was trying to choose a new perfume oil, I was overwhelmed by the number of options. Luckily I found MCMC x MOCIUN #3. MCMC Fragrances is a New York-based company, which opened in 2009 in Brooklyn and is owned and operated by sisters. You know by now that I am drawn towards a darker scent, but #3 has a floral addition as well. It seemed like the perfect balance for me! 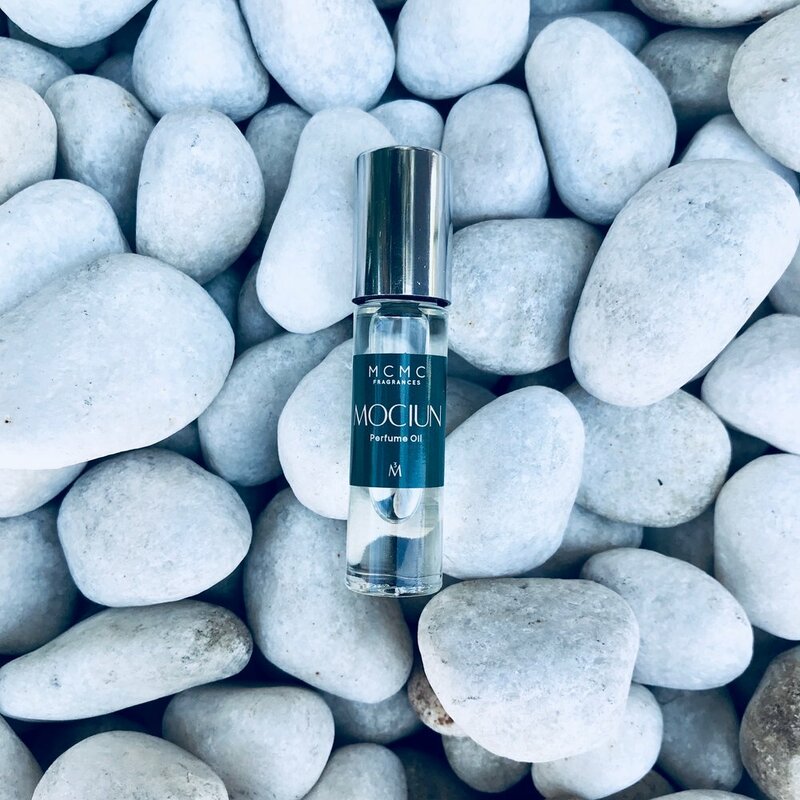 I guarantee there is a scent for everyone by MCMC, with 16 different roller ball options. They are all made from coconut oil and range from sweet scents (HUNTER) to frankincense (WHITE TEMPLE), but this one is what I’ll be wearing as we head into fall. It contains notes of rose water, sandalwood, and an ancient secret Egyptian recipe for musk. Sandalwood is what I am repeatedly drawn to, but this rich combination creates a feminine balance I plan to wear daily.